This futuristic slot will dazzle you with its vibrant colours and glittering gem stones that whirl around the reels. The vivid Purple, Gold and Blue give the impression of a galactic nebula in deep, dark space which is extremely enticing and will make you want to dive head first into this space age slot. The slot itself and the design is simple but well done, creating a visually stimulating game to play. So sit back and prepare to becoming entranced by this colourful, space inspired slot game and listen to the ambient music which is a perfect soundtrack to this stunning slot game. This colourful slot game available at WizSlts is a diamond in the rough. Have fun as you spin these slots games online! This game has 5 reels and is played across 10 paylines with a minimum bet of 0.2 coins with the maximum bet being 50 coins and the minimum coin per line is 1. The game itself is centred around stacking gem symbols which make up all of the symbols on the reels. 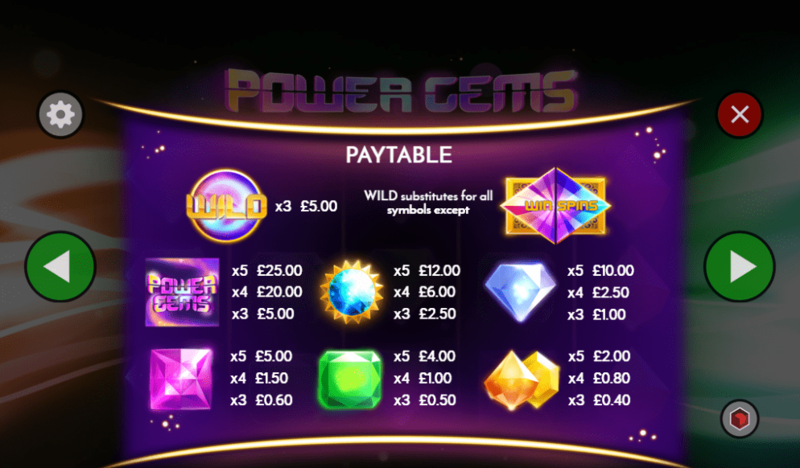 As well as the glittering gems, you will encounter a range of exciting features to complement the vivid, enticing gemstones including Wild symbols, Scatter symbols and Free Spins. If you are interested in the best-rated online slot games with attractive bonus features, this is worth a try! 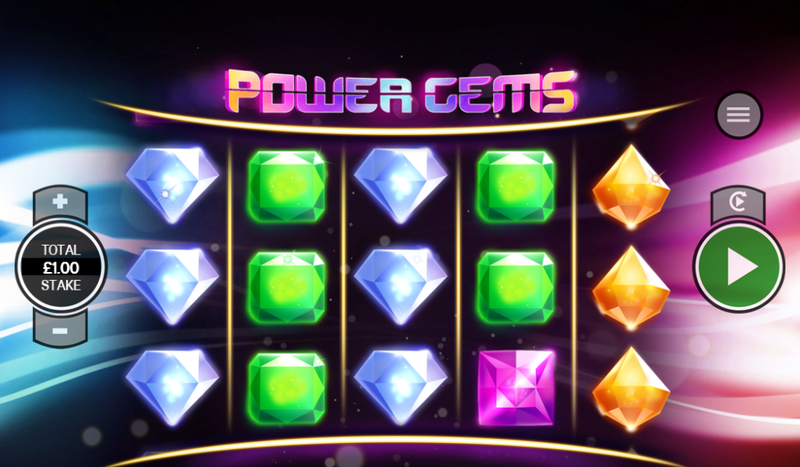 Watch out for the Power Gems Logo symbol which will award you either 5, 20 or even 25 x your total bet if you land 3, 4 or 5 of them on the reels. Keep your eyes peeled for a Wild symbol who only lands on the middle 3 reels and you will be rewarded with 5 times your total bet. There is an exciting Wild Power Re-Spins which will be triggered randomly throughout the base game and this could also lead you to trigger a further bonus feature if you spin 10 winning spins. Core Gaming has made some other amazing slot games. If diamonds and gemstones are your best friend this slot will offer you endless entertainment and if you prefer to sit back, relax and watch the dazzling gemstones roll around the reels there is a handy autoplay feature which allows you to place a fixed bet and a fixed amount of spins, and the reels will spin automatically without you having to lift a finger. Get in on the space age action and sink into deep space with this intriguing, supercharged slot game and you won’t be disappointed with the rewards. Best of all, this game is optimised for mobile, tablet and desktop, so you can power up the gems and win some out of the world prizes on the go, whenever and wherever you are. Have you managed to harness the power of the hidden gems? Why not now try Frank's Freak Spin?